Iker Casillas may have shown his support for beleaguered Liverpool goalkeeper Loris Karius by way of his own keeping bloopers, but it seems that his compatriot has a completely different thought process. Stunning footage from the recent International Champions Cup encounter between Manchester United and Real Madrid has been revealed, where Marco Asensio can be seen addressing David De Gea as ‘Karius’ due to the latter’s mistakes during Spain’s unsuccessful World Cup outing in Russia. De Gea made a few costly errors during the tournament, but is still widely regarded as the best goalkeeper in the world. The shot-stopper has also decided to stick with his current employers Manchester United, after the fans made their support clear for their undisputed number one. Asensio, on the other hand, witnessed first hand the mistakes that Loris Karius made during the Champions League final earlier this year, when a shambolic display from the Liverpool custodian resulted in a 3-1 victory for Los Blancos. Karius has since fumbled his way through much of Liverpool‘s pre-season as well, prompting manager Jurgen Klopp to look elsewhere for a new keeper. Liverpool recently made the switch at the top of the goalkeeping pecking order, with revered Brazilian international Alisson Becker becoming the most expensive keeper in the world after signing with the Reds. 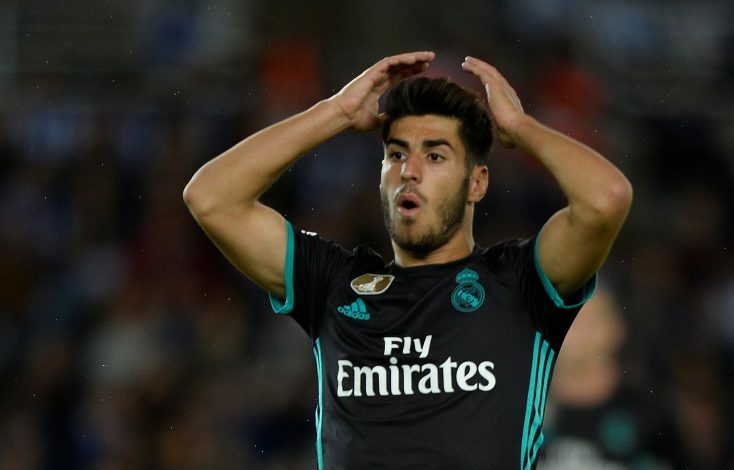 Asensio’s comments don’t seem to have gone down very well with most fans, and plenty have called him out on the cheeky address. Real Madrid themselves have been going through some growing pains, with new manager Julen Lopetegui brought in after Zinedine Zidane walked out on the club, and the recent loss to a below-par Manchester United team will have one or two eyebrows raised ahead of the new season. The Galacticos will also attempt to defend their Champions League triple crown without the support of the boss who got them to that illustrious spot.